Installing and running NEO4J on Windows is a little different from installing it on Linux. NEO4J has provided two options to install NEO4J on Windows. One version of NEO4J is a dumbed down version that includes the necessary Java, that comes bundled in an .EXE file. 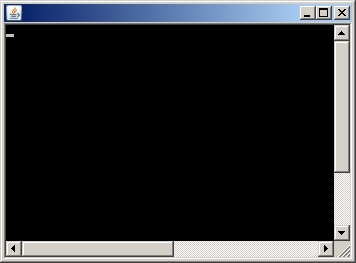 The other Windows version comes in a .ZIP file that more closely resembles a Linux installation. With NEO4J on Linux, a correct version of the Java JDK/SDK is assumed to be installed, but not so on Windows. Java JDK/SDK installations do have a certain learning curve, and required reading, not suitable for some users. And then there is Java licensing. Apparently, it’s ok to bundle to Java with an executable file. But it’s not ok for Neo4j to redistribute the correct Java JDK/SDK on NEO4J’s download page, and allow users to download it. If you are serious about NEO4J, you’ll probably want to use the full blown Windows .ZIP version. For one thing, it follows the standard paradigm and navigation. You’ll get the full functionality. And, it’s not that difficult to use. If you are running Windows, and go to http://neo4j.com/download, then click download, the default file that you will be prompted to save will be the simpler .EXE version. If you install this, you will have the stripped down version of NEO4J. One way to tell after I installed the file, neo4j-community_windows-x64_2_1_3.exe, was that the .bat scripts were nowhere to be found in the subdirectories. http://neo4j.com/download/other-releases/ you’ll find the NEO4J .zip file for Windows. Download the 32 or 64 bit version as appropriate. https://rodgersnotes.wordpress.com/2013/07/08/installing-gephi-on-64-bit-machines/ Once Java is installed, it’s a simple matter to unzip the .ZIP file into a subdirectory. Change to the appropriate directory and start NEO4J. Note: unlike Linux, do not add any parameters, such as, start, on the command line. This will bring up a java window. It isn’t labelled on top (at least in version 2.1.3), and there is nothing inside it. Do not close this Java window. It is required to be there while NEO4J is running. In task manager, you will see a java.exe process running, with NEO4J in the command line. After this, you will be able to work with NEO4J in the browser, or in the shell (Neo4jShell.bat). Stopping NEO4J On Windows is also different from Linux. Do not run any scripts. To stop NEO4J, go to the Java window, and press Control-C. NEO4J will then shut down cleanly. So, I hope that clears up any confusion anyone might have, and, I hope it’s useful. This entry was posted on Friday, November 7th, 2014 at 9:30 am and is filed under Graph Database. You can follow any responses to this entry through the RSS 2.0 feed. You can leave a response, or trackback from your own site.